The second was the Port of Newport Marina & RV Park where we had an awesome view of the Yaquina Bay Bridge. First, I must confess. I enjoy a very deep love of seafood. My delight at the knowledge that I would be visiting the Dungeness Crab Capital of the World left me pretty much salivating all the time. During our stay at the Marina, which is a city managed location, we were neighbors with a couple who was visiting for their annual Crab fishing (find term). They caught so much crab that they couldn’t take any more home. So when our lovely neighbor, Sandy, asked us if we would like some crab, I looked at her like she had one growing right out of her eye before I remembered my manners and the fact that she clearly didn’t know me. I said, yes and thanked her profusely before I was even aware of just how much crab she was talking about. Her husband appeared with a cooler containing over 100 crab, all boiled and pealed for me. Dear Reader, I know I’m a little much sometimes, but I am not exaggerating when I tell you that I ate crab for breakfast, lunch and dinner for weeks. I also supplied crab for our camping friends for days. But fear not, I refused to let any go to waste and made sure every single succulent morsel was consumed by myself or someone near me. If you want activity based learning for yourself and/or your kids, you must check out the Hatfield Marine Science Center which is run by Oregon State University. We went with our dear friends, Jeff & Jessica (yes in my head they are Jeffica) and their kiddos, enter names. Admission to the Visitor Center is free and there is a suggested donation of $5 per person or $20 per family. We all learned about tides, tsunamis and how they happen through the many interactive exhibits at the center. They have these “wet labs” where you can observe the different organisms and interact with fish and all kinds of slimy, slippery creatures. I was really geeking out over all the tsunami stuff. Luckily, my son really liked it as well, otherwise the fam and friends would have had to stick around watching me read every single display, cause that’s how I roll at museums. While there was a ton of stuff to do for the kiddos, there was also some adult fun to be had. And, here is a BIG plus, it was still family friendly. I’m talking about the Rogue Brewery, that bastion of yummy ales with the great names. I mean, we were in the land of the breweries for Pete’s sake! For $5 per person, you can take the brewery tour with free samples galore. The kids are welcome, they just can’t have samples silly. Seriously though, we took a trolley around the brewery, who doesn’t love that? The grownups were clearly enjoying this immensely. The kids were laughing at how giddy we all were. And that’s OK. The tour lasts a good 90 minutes which you don’t even notice with all of the tastings and traveling and silliness. Like all well planned and monetized tours, this one ended in their gift shop/restaurant entrance. After pledging to be a good Rogue Nation Citizen, we ate at the restaurant, Brewer’s on the Bay, and I was delightfully surprised at the quality of the food. I was prepared for bad bar food with an emphasis on their ales, but this was not the case. The beer cheese soup was ridiculously yummy and went perfectly with the flight of 4 beers we each ordered. The Halibut fish & chips was rockin’ and the house salad with Salmon was delish. All was enjoyed while delighting in a refreshing view of the Yaquina Bay. The coolest part of this tour was that it was right across from our campsite at the marina, so we walked ourselves home like the good, responsible grownups that we are. If you’re planning a trip to the coast these are great places to visit. Hit me up and I’ll give you a bigger list. There is so much more to the Oregon Coast that I will have to tell you about another day. Work beckons, so I have to run for now. Oh wow, I was reading along thinking my children would love the marine centre and the brewery looked like fun, but then I spotted that light house! I am so drawn to beautiful old light houses and we don’t have enough of them in Australia. So I NEED to come visit the Oregon Coast when I come to the states. 🙂 What a wonderful place! Yes, I love lighthouses too! I have never been to Oregon at all, but would love to visit this area. It sounds like a great place to visit. I went to school in oregon! It so fun getting sand dollars there. Crabbing sounds fun. That’s cool, where in Oregon did you grow up? This place looks absolutely gorgeous and your images are beautiful. I would really love to visit it soon. It also quite affordable if you have a large family too. The brewery was pure awesomeness. You took really nice photos. I like ttravel posts. They make me anticipate for the time when I can tavel. I definitely don’t think of the beach or large bodies of water when I think of Oregon, but I do imagine that it could be extremely peaceful. I think I could see myself visiting to get away from the hustle and bustle of South Florida. Sometimes you just need time away in a peaceful place. Thanks for highlighting this! I’m from South Florida, so I can tell you it is another animal entirely. The beaches are cool and windy, even in August. The summer weather was like a Florida winter. So much yummy crab with be awesome to be too. I could eat crab all day. I will remember the Great Crab Gorge of 2105 for eternity. We have never made it to Oregon. But you’ve really turned us on to it. It’s is really lovely for sure. It’s so worth a visit. 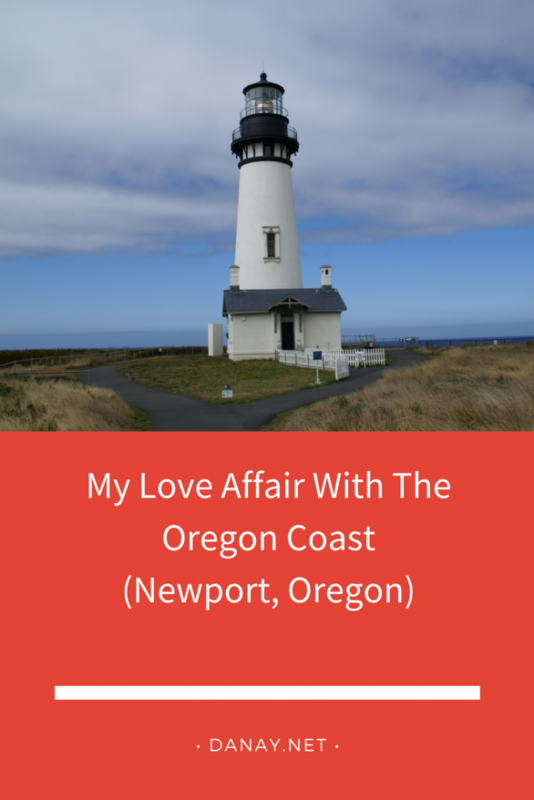 Newport Oregon was such a lovely place to visit. I haven’t been to Rogue Brewery but I will check that when we come back. You can’t deny the fact that there’s so much that you can do here with the family or with friends. I’m sure my kids are all going to have fun in that Science Center! Crabbing sounds delicious! Sounds worth it to visit. You’ll definitely have a nice pick of lighthouses there. Such a beautiful and relaxing place! Would absolutely visit it one day! Sounds like a fabulous place to visit – beautiful beaches and scenery and amazing seafood – I have to confess I’d probably have reacted the same way as you did when offered fresh crab! And then a brewery tour too? All my favourite things! Hah, good to know I’m not the only one. Oh my gosh! The PNW and that coastline are on my bucket list, for sure! I have seen so many beautiful pictures and have heard that it is definitely not an experience to be missed! WOW that looks gorgeous!! What a fun adventure! Thanks Jennifer, it certainly deserves all the accolades it gets. This is one state I have yet to visit!! I would love to do a full road trip around Oregon because there is so much to see and do! Loved all the activities you did. Giving me FOMO! You’re right, there is so much to do. This was just one small area of the coast. Oregon is gor-ge-ous just about everywhere you go. Oh wow! It looks so gorgeous and beautiful there! I have to plan a visit soon. The brewery looks like a ton of fun! I will have to visit here one day! This looks like so much fun. I have never been to this part of the country. Amazing how they’re so much of the states that are just so cool. Thank you for sharing! I’ve neve rbeen crabbing but I would love to go. This looks like a beautiful place to visit and possibly live. We keep debating whether to get a place there. The big IF for me is that it’s on the West Coast which I love, but it bugs me that I would be 3 hours behind everyone I deal with work-wise. I love this. My first visit to Cannon Beach was when I feel in love with the coast. Such a beautiful place and so much peace. Great post. Yes, Cannon Beach is further north and another love of mine too! The Oregon coast looks beautiful! I know I would love to visit someday, and my husband would love that brewery. Wow Oregon looks so incredible and so much fun! I’d love to check out the Rogue Ales Brewery Tour and for $5 dollars it such a steal. Oregon is on my bucket list! I definitely want to go, thank you so much for the tips and all the suggestions. I loved the information you shared. I am ready to plan a trip to Oregan. I love crabs. I’ve had east coast and gulf coast crabs. I am ready for some Oregan crabs. Thanks for all thegreat tips. Oregon is my next bucket list place that I hope to cross off. My daughter and I have wanted to visit the coast ever since she was little. Can’t wait until we are able to make the trip! I would love to visit Oregon! I went to Portland as a kid but I need to go back! I am adding that to my list of places I’d like to visit. That sounds like a great vacation spot. So much crab!! That reminded me of when I was little and my grandparents would take me to the beach. My grandmother used to catch crabs and we had it for breakfast, lunch, and dinner. Ah, the good old days! The Oregon coast looks lovely, but can you get into the water. Somebody once told me the water over there is too cold to swim in. Is that true? They are correct, it’s really frikkin cold. I mainly let the dogs run on the shore and I did too. You can dip your toes but that’s about it. I wanna go to Oregon now! It looks so beautiful <3 I wonder if I could get my husband and kids to go on vacation there. It’s so worth convincing everyone! I’ve only ever driven through Oregon but I’d love to visit one day! It looks beautiful and a lot of fun! I can see why you have a love affair. Oregon looks so beautiful and like it’s full of adventure to be had. Thank you so much for sharing it with us! Love love love the lighthouse! I have never been to or seen one in person. Something I have always wanted to do is go see one. Looks ike I just added another vacation destination to my list ! Be my BFF. I actually cannot stop eating crab, and I remember I had crab for lunch and dinner for weeks every fall (crab season in my hometown) and the only reason I did not eat the breakfast is that I just do not want to made a mess with my stomach. Wish I will be at the Newport one day and meet your neighbors. You lucked out on getting all that crab! That would have been amazing. I’ve never been to Oregon before, but after reading this I’d love to have a visit. The science center looks like fun! My kids and I love getting hands-on when it comes to learning. I visited Oregon a couple of years ago and drove down the coast it was beautiful but too brief. I definitely would like to return. Another adult here and i would like to visit the rogue brewery. How much rogue their beers are? Great post and the pics too. Looks like a nice place to visit especially the museum, I love them, visit as many as I can.